Google’s click-through-rate (CTR) growth is outpacing its cost-per-click (CPC) growth, according to Adobe's Digital Index’s Q4 Digital Advertising Benchmark report. The report, which was released this morning, was based on consumer data from brand sites during 2013 and 2014, captured through Adobe Media Optimizer and Adobe Social. The software company looked at more than 400 billion Facebook post impressions, and 500 billion more from Google, Yahoo, and Bing. Google’s global CTR was up 19 percent year-over-year, while CPC only increased 8 percent. "Google is so far along; marketers have been using it for such a long that they’ve been able to dial in their click-through rates," says Joe Martin, digital index manager at Adobe. Yahoo and Bing, which Adobe analyzed collectively, had a CPC growth of 7 percent and no CTR growth, showing that marketers haven’t optimized those sites as effectively. "In previous reports, I wouldn’t have expected to see the change for six or seven months, but they were able to make the change in one quarter," Martin says. 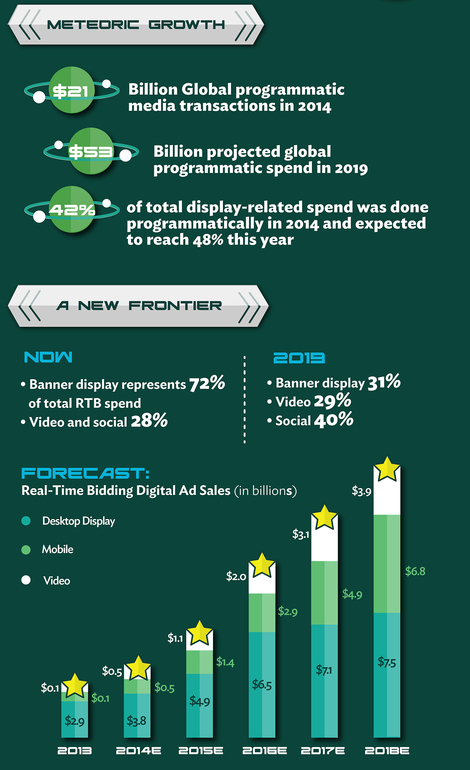 But while text ad spend accounted for two-thirds of all retail SEM clicks, it was down 6 percent overall, demonstrating that advertisers are gravitating toward "image-based shopping experiences." However, the rate of clicks on image-based Facebook posts stayed the same year-over-year, while more people clicked on posts with links. Google CEO Predicts the Internet Will "Disappear"
Google chief executive (CEO) Eric Schmidt has predicted that the Internet as we know it today will disappear in the future. Schmidt said at the World Economic Forum in Davos that the Internet could become a thing of the past as online connections become ever smarter and personalized thanks to the growth of the Internet of Things. When quizzed as to his views on the future of the Web, Schmidt said, "I will answer very simply that the Internet will disappear." "There will be so many IP addresses, so many devices, sensors, things that you are wearing, things that you are interacting with, that you won’t even sense it," Schmidt said, according to the Hollywood Reporter. "It will be part of your presence all the time. Imagine you walk into a room, and the room is dynamic. And with your permission, and all of that, you are interacting with the things going on in the room." Schmidt concluded, "A highly personalized, highly interactive and very, very interesting world emerges." The Google executive went on to talk about the problem of Google's market dominance, which has led to legal battles such as the antitrust case related to the mobile search market. "You now see so many strong tech platforms coming, and you are seeing a reordering and a future reordering of dominance or leaders because of the rise of apps on the smartphone," he said. "All bets are off at this point as to what the smartphone app infrastructure is going to look like as a whole new set of players emerges to power smartphones, which are nothing but supercomputers. “I view that as a completely open market at this point." 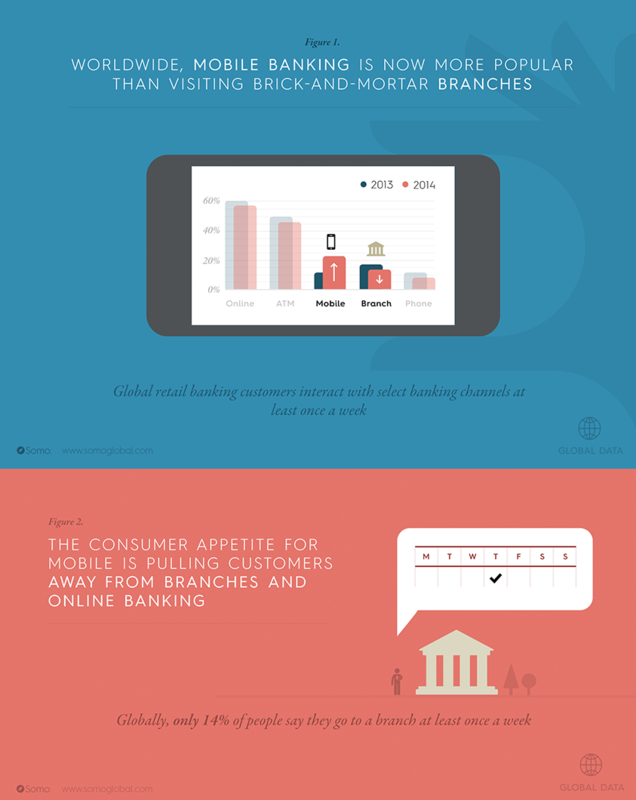 Data included in the following infographic from Somo shows how quickly people have adopted digital banking services, with 77% of bank customers using online or mobile banking at least once a month. Furthermore, there have been 14.7m mobile banking apps downloaded so far in the UK and globally only 14% of people say they go into a branch once a week. 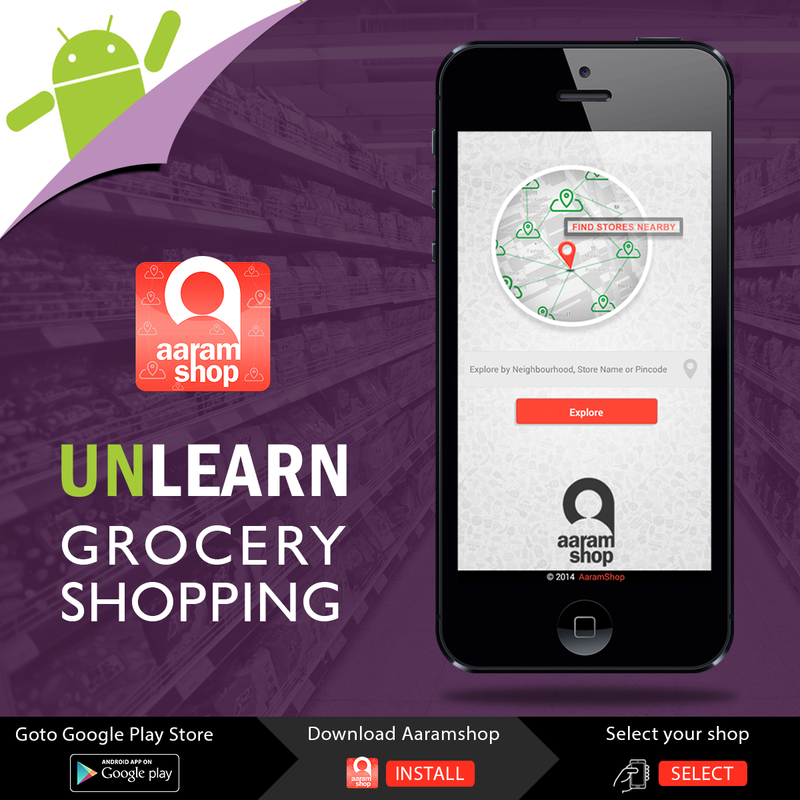 AaramShop's mobile app brings a new perspective to market place apps. The app is unique in its approach in enabling consumers to select their preferred retailer in their neighborhood and then shop with that retailer. The app upgrades thousands of neighborhood grocers via mobile apps and bring them on mobile devices of consumers along with their inventories and offers, enabling consumers to discover and then shop. The app is currently available only for android devices and iOS app is expected over the next few weeks. The Interactive Advertising Bureau (IAB) released a study this week titled "Apps and Mobile Web: Understanding the Two Sides of the Mobile Coin." The research dove into how mobile users are searching for accessing content and what that means for marketers. According to the study, Internet use on mobile can be divided into two categories: the use of apps and browsing the mobile Web. The increase in the number of apps offered has often overshadowed the importance of the mobile Web, causing some confusion as to which means of access is predominately used. According to the study, the most common way mobile Internet users find websites is from search and shared links from applications (predominately social media). On the flip-side, the majority of respondents share mobile sites they like through word of mouth, email, and social media. 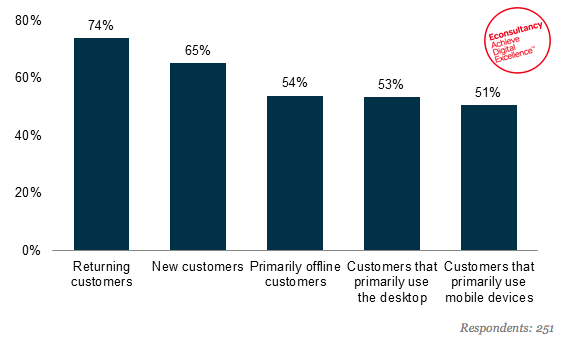 But thankfully for search marketers, as you can see in the chart below, the vast majority of users surveyed still use search engines to find what they are looking for. When asked about ease of use between apps and mobile Web, the responses were split. Nearly an equal amount cited "convenience" and "ease of use" for both apps and the mobile Web. This IAB study did find, however, that Internet users prefer mobile Web for search, while preferences for shopping, news, and directories are split between both apps and mobile web. Based on the findings of this study it’s clear that if search marketers want to reach more consumers, it’s important to consider BOTH app and mobile Internet usage in their strategy. Are you surprised with the results of the study or do you think the even split is to be expected?